Yes, finally, things are working perfectly fine for Polytechnic students. According to confirmed sources, the Nigerian Government has JUST scrapped award of Higher National Diploma (HND) certificates by Polytechnics. This huge decision was reached at the Federal Executive Council, FEC which was held today on Wednesday, the 6th of June 2018. It was at the Federal Executive Council, FEC where the approval of a comprehensive reform of Nigeria’s tertiary education system was made. So starting from today, the award of HND will be limited to only the students currently admitted for the programmes. You should also take note that all the programmes currently being run by polytechnics, which are not technology-based, and which are about 70 per cent, will be scrapped officially, according to the agreement reached today at FEC. 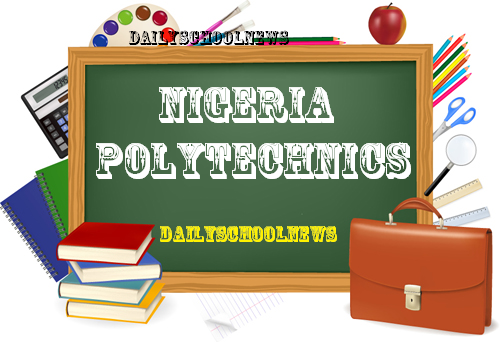 Under this new rule, all Nigeria Polytechnics will now become campuses of the proximate universities with the Vice Chancellors of those universities, appointing provosts for their polytechnics, subject to the ratification of the Universities Councils. With this new rule, all polytechnics will now be limited to award ONLY National Diploma (ND) while for candidates and students who are desirous of further education, will be awarded the Bachelor of Technology (B. Tech) by the proximate university. and Kaduna Polytechnic will henceforth be known as and City University of Technology, Kaduna. Take note that the first bill will concretise the setting up of the two city universities, while the second will approve the preparation and consolidation of all federal polytechnics and colleges of education as campuses of proximate universities. Please take note that the Ministry of Justice will do the preparation and submission of the two bills to the National Assembly for approval. Also in the FEC meeting, was the Minister of Education, Adamu Adamu, who disclosed to journalists after the weekly meeting, that under the reform measures, his ministry would, however, continue to license private polytechnics and colleges of education for the award of qualification at ND and National Certificate in Education (NCE) levels. “There will be no more award of HND from Polytechnics. After we have exhausted the current students under the HND programme, there will be no more award of HND to students. This means that there will be no fresh admission for HND programmes into any Polytechnics in Nigeria. And in addition, any programme that is not technical will be out of the polytechnics. “The HND certificate will remain a legal tender in Nigeria and holders of the HND certificate will continue to be recognized as the equivalent of first degree holders without discriminatory remunerations and limit to progression in the work place.